Back to school comes so quickly, but we were excited to start rowing Jesse Bear, What Will You Wear? by Nancy White Carlstrom. We studied this book when Jordan was in preschool and the kids fell in love with it. This time was just as magical. The kids fell in love with Jesse Bear all over again! This quickly became another eclectic mix of bears, dressing for the weather, making healthy choices, and being loved. As with our other rows, we studied this book for quite a few weeks, because there was so much to cover! I created a mini Bible verse pack to go along with this row. We chose to memorize Proverbs 15:13. Click here to download your FREE copy! Each day Parker would work on putting together his Bible verse puzzle. By the end of this row, he was able to recite it by memory! This year we wanted to really review our letters and how to write them. We started the school year with the letter A and focused on Adam and Eve. We bought the Bible Letter of the Week Curriculum from the Crafty Classroom. Most of our Bible lessons fit into the various topics we covered (i.e. Eating healthy, getting dressed, learning life skills, and feeling loved). We read SO many stories from The Happy Day Books Family Treasury. We print a set of vocabulary words for each book we row. For Jesse Bear, I printed the vocabulary words from the Homeschool Creations Jesse Bear Printables. I laminated the cards and assorted them with various toys and figures and placed them in our story box. We continued to work on the words all throughout the unit. I created Alphabet Cards (Correct Letter Formation) as well as Alphabet Tracer Cards that you can purchase from our TPT Store. Now that Parker knew his letters and their sounds, we wanted to focus on learning how to properly form both the uppercase and lowercase letters of the alphabet. He used our Alphabet tracer cards to practice writing the letters. We started with the letter A and used the Bible Letter of the Week Curriculum from the Crafty Classroom. 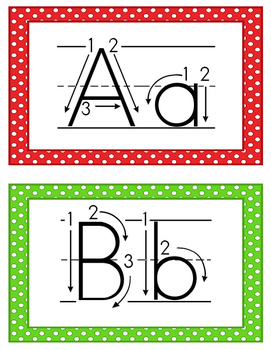 I created a letter A box with our Alphabet Cards and other letter A printables. He worked on many of the worksheets in the letter of theBible Letter of the Week Curriculum pack. We also played letter A bingo with the family. We continued to add various phonics activities for Parker to work on in learning lane. We also added some rhyming activities too. Since he continued to show great interest in reading and spelling his CVC words, we continued to work on those as well. Jesse Bear ate a healthy lunch with his Mom. We talked about the difference between healthy foods and treats. Most of the time, our kids eat really healthy, but we also enjoy treat foods as “treats” not everyday munchies. We spent quite a bit of time reading about fruits and vegetables and added several fun fruit and vegetable activities to learning lane. You can find most of them on my Jesse Bear Pinterest board. We also added some fun Jesse Bear healthy eating inserts to our lapbooks. 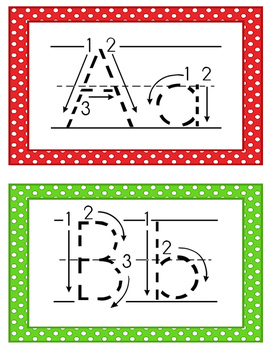 I purchased this really amazing food group printable from Montessori Print Shop. I presented it at the breakfast table with My Food Pyramid. We read the book and sorted through the food cards to their rightful food group. Afterwards the kids worked on a food group worksheet to reinforce what they just learned about. We added several more healthy eating/food group activities to our learning lane. I’m not sure how we ended up on a peanut butter and jelly theme, but the kids LOVED it! We read a couple of really fun PB&J books at the table. Afterwards, the kids did a PB&J sequencing worksheet and we even added a PB&J alphabet activity in learning lane. When Parker was napping, Haley and Jordan made some buns and baked them in the oven. After school, the kids made their own PB&J sandwiches on their home-made buns. .
We wrapped them up, took them outside and went for a walk. After walking a while, we found a nice shady, grassy spot to sit and eat our snack. Since we’re talking about food and eating healthy, we happened upon a pizza theme. The kids love making their own home-made pizza, which allows us to choose our own healthy ingredients. We often use veggies from the garden too! That morning we read Pizza at Sally’s and made our own pizzas with stickers! The kids LOVED this activity. They even named their pizza. We even added some pizza themed activities to learning lane that day. When Parkie went down for his nap, Haley and Jordan made the pizza recipe at the end of the book. Sadly, I don’t have pictures of the pizza we made, but you can be sure plenty of mozzarella cheese was involved! While talking about healthy choices, we talked about good dental health. While reading about eating fruits and vegetables, we also read Should Billy Brush His Teeth? which was about making all sorts of good choices. The kids sorted various foods that were either good or bad for your teeth. Afterwards, they worked on a worksheet all about healthy and treat foods. We started our morning on a colorful note with rainbow hootenanies and a Color Dance read-aloud. As they baked, the colors swirled and spread. I dusted them with powdered sugar and the kids were ecstatic. After breakfast, we read Monsters Love Colors and I sketched a color theory activity for the kids to do. First, we went over the colors of the rainbow. I grabbed our jumbo math signs and set up color equations for Parker to solve. Next, we went to the kitchen to mix primary colors and create secondary colors. Parker used his colored water to paint his Monsters Love Colors activity sheet. We read Color Zoo by Lois Ehlert. I cut different shapes out of various colored sheets of construction paper. The kids created animals out of colored shapes. Afterwards, the kids played in our colored bean sensory bin. This was especially fun since it coordinated with our Saxon math lesson about math shapes. Parker worked on counting and matching numbers. He also worked on patterns, which one is different, and graphing. We pulled out our Super Sorting Pie and the boys worked on sorting and some fun lego addition cards. Jesse Bear, what will you wear? This year, we wanted to focus on some life skills like getting dressed and knowing what to wear based on the weather. We started our morning over teddy bear toast and reading Froggy Gets Dressed and Caps, Hats, Socks, and Mittens. Later on, the boys dressed our weather bear according to the weather card they chose. The kids also added some Jesse Bear printables and Froggy Gets Dressed printables to their lapbooks. Parker also worked on his new calendar board, learning about the days of the week, the months of the year, and the four seasons. Jordan picked out sneakers with laces this year, so we needed to work on tying our shoes. I set up a little learn how to lace your shoes “station”. This is a necessary life skill even if most shoes are velcro these days. Since we were learning about Jesse Bear getting dressed, the next morning was all about laundry. I set up our breakfast table with several laundry themed books and a laundry matching worksheet. We talked about keeping ourselves clean and pitching in to help with the laundry. We also added some laundry and clothing activities to learning lane. After our breakfast table learning and running through learning lane, we did a fun sock hunt throughout the house. When all the missing socks were found, we used our numbered socks for a fun math activity around the playroom table. I created some worksheets based on their own math levels. We LOVED reading Jesse Bear and coming to the part where Daddy came home….everyone, in our house, loves when Daddy comes home! We talked about being loved and feeling loved and how this is also a very important part of staying healthy. We read We Help Mommy, which showed how everyone in the house pitched in to help Mommy clean up. This is a life skill we need to work on….getting EVERYONE involved in the cleaning up around the house. Afterwards, the kids added a My Family & Jesse Bear’s Family insert into their lapbooks. I found a really cute bear printable craft from scholastic. The kids used dot paint to color their bears. Once dry, they cut them out and used brads to connect the arms and legs. They turned out really cute! Afterward, the kids chose two colors to create bear pockets. We used foam letters to spell out Jesse Bear. We took a little field trip to the farmer’s market with our Papa. The kids had so much fun picking out fresh fruits and vegetables. We had two goals that day….pick out vegetables for a special Jesse Bear stew and pick as many apple varieties as we could find. We were getting ready to start our annual apple tasting tree (another topic for another post). We read a couple of books about helping prepare dinner. The boys loved Henry Helps with Dinner! We also loved Growing Vegetable Soup by Lois Ehlert. I washed, chopped, and prepared the vegetables we bought from our farmer’s market. The kids added them to our pot and we made a SUPER delicious Jesse Bear stew! The kids really enjoyed making bear bread the last time we rowed Jesse Bear. We brought out our recipe and Haley and Jordan made the dough. We shaped our dough into a bear with nut eyes and nose and baked it. We reserved some of our dough for Parker, because he was sleeping during this activity. He loved making his own little bear and we ate our yummy bear bread with our soup that night. We ended Jesse Bear on a sweet note! We brought down our teddy bears, and made tea and some yummy cookies! < Previous BFIAR Yellow Ball Printables!